Home Editorials Is Xbox Game Pass Worth Your Money? The video game landscape continues to evolve, and Xbox Game Pass looks to take the next step in changing the way we play — but is it worth your money? Xbox Game Pass gets you access to over 100 Xbox One and Xbox 360 games on Xbox One for one monthly price of $9.99. Sound familiar? It takes a cue from the likes of Netflix and Hulu and offers fans a chance to play Xbox titles in an unprecedented way. Meaning, Xbox Game Pass lets you choose from a large library of games — from recent blockbusters like Halo 5 to critically acclaimed indie hits ala Braid — and play them without having to buy them. So, it’s great for people who enjoy experiencing a variety of games, but don’t want to burn a hole in their pockets for a couple of weeks of fun. 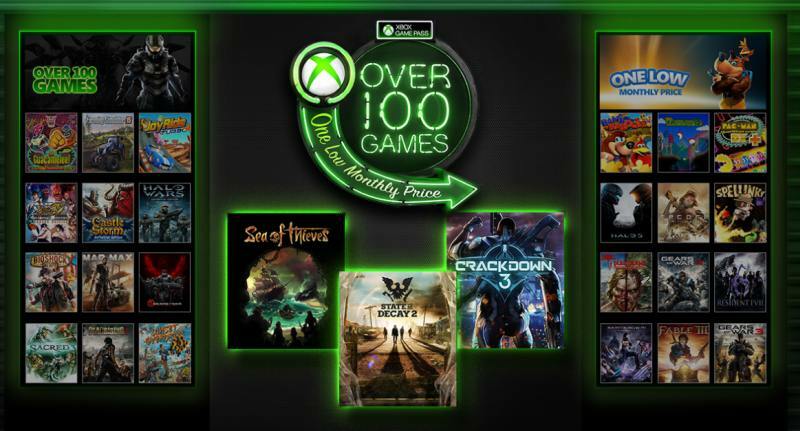 Plus, with Xbox Game Pass, you can play highly-anticipated new titles like Sea of Thieves, State of Decay 2, and Crackdown 3 the day they’re released, so you don’t have to deal with long lines at retailers or even worse — altogether missing out on playing. And, thanks to a collection of all-time greats, you can discover old titles you never had the chance to play — maybe check out how Bioshock, Mass Effect, and Gears of War all started? Or revisit classics for a fun old nostalgia trip. Every game included with Xbox Game Pass is selected for high ratings and entertainment, which means you’ll come across the very best of the entire Xbox catalog. But, what happens if you stumble upon a game you really love and want to own it rather than just play it? Well, with Xbox Game Pass, you save up to 20% on titles, plus get 10% off any Xbox One game add-on. This way, you not only get the chance to test any game out before you buy it, but you also save big on locking it in and adding DLC in the future. Even better, your options with Xbox Game Pass only grow every month as new titles are added, empowering fans to dive into fresh picks as well as explore the over 180 games that are currently available. So, is Xbox Game Pass worth your money? Well, if you’re the type of gamer who wants immediate access to hot titles or just want quick access to a large library of games on the cheap — then yeah, it’s a solid deal. But, whether or not you think Xbox Game Pass is for you, it’s still a good idea to check it out, and you can do just that with a free 14 Day Xbox Game Pass Trial.